NetGear Universal Wifi Range Extender – Refurbished (WN3000RP-100NAR-REF) only $39.99. 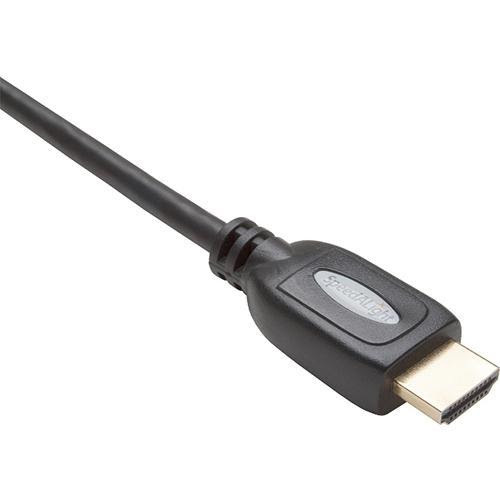 Unirise Oncore USA 6FT HDMI Male to Male High Speed 1080p v1.4 High Definition Digital Audio/Video Cable with Ethernet (HDMI-06F-MM) only $2.99. We are Juice Served Here. We are more than just a juice company. We are your new daily ritual. We are Raw. We are Organic. We are Cold-Pressed. We are sourced locally whenever possible and no two juices are alike. We are Fresh. We are Clean. We are Simple. Impeccably presented by passionate health enthusiasts. We are Warm. We are Inviting. We are the Place to hang. Drink and eat in total comfort with select literature, free wi-fi, and local community events. Hey Pasadena, CA! 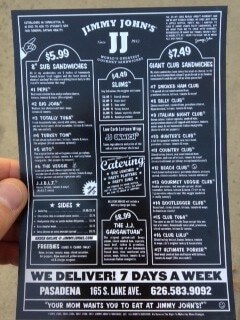 A brand spankin’ new Jimmy John’s is open and ready to deliver at 165 S. Lake Ave.! We’ll deliver just one sandwich! That’s our minimum, pretty sweet eh? Give ‘em a call at 626.583.9092 and get some yummy in your tummy today! — at 165 S. Lake Ave. The location is still not listed on the company website. No purchase, payment, or contribution necessary to enter to win. Void where prohibited. Entries must be received by 11:59 p.m. on December 31st, 2013. You may enter by contributing to the Sponsor here. Alternatively, visit here to enter without contributing. Two winners will receive the following prize package: round trip tickets for winner and one guest from within the fifty United States, DC or Puerto Rico to Washington, D.C.; hotel accommodations for winner and one guest; tickets for winner and one guest to the OFA Anniversary Party (approximate combined retail value of all prizes $985. Odds of winning depend on number of eligible entries received. Promotion open to all U.S. citizens, or lawful permanent U.S. residents who are legal residents of the 50 United States and District of Columbia and 18 or older (or of majority under applicable law). Promotion subject to Official Rules and additional restrictions on eligibility. Sponsor: Organizing for Action, 224 N. Desplaines St., Suite 5000, Chicago, IL 60661. Updates from The Bowhaus Pet Company! Hello friends of The Bowhaus Pet Company! We have some news and events coming up at The Bowhaus Pet Company. We are now offering grooming on the weekends! Set your appointments for a nice new makeover. Come check out their adoptable Dogs and cats! Reality TV show The Voice has First ever parade float, “Singing The Dream” as the float is titled. Here’s a rendering of the float. Annual Tournament of Roses Parade. The 125th Pasadena Rose Parade will be broadcast live in the U.S. on ABC, NBC, HGTV, KTLA5, Univision, Red TV, Family Net, Sky Link, and the Hallmark Channel. see a full line-up of the 125th Rose Parade participants here. INN/CHALET LIMITED SERVICEYEAR BUILT 1945 YEAR REMODELED 2001ADDITIONAL PROPERTY DESCRIPTION THE BIDE A WEE INN AND COTTAGES IS A QUAINT AND QUIET RUSTIC INN ON THE TIP OF THE MONTEREY PENINSULA OFFERING PET FRIENDLY LODGING ACCOMMODATIONS. NESTLED IN A BEAUTIFULLY WOODED AREA ON ASILOMAR BLVD., IN PACIFIC GROVE CA, THE BIDE A WEE IS JUST A 3 MINUTE WALK FROM THE PACIFIC OCEAN, POINT PINOS LIGHTHOUSE AND THE PACIFIC GROVE GOLF COURSE. ENJOY MILES OF BEAUTIFUL WALK AND BIKE PATHS, OR EXPERIENCE THE 17 MILE DRIVE , ONE OF THE MOST FAMOUS AND MAGNIFICENT STRETCHES OF ROAD IN THE COUNTRY, WHICH SHOWCASES THE SPECTACULAR PACIFIC SHORELINE AND VAST OCEAN VIEW. JUST MINUTES AWAY ARE THE WORLD FAMOUS MONTEREY BAY AQUARIUM AND CANNERY ROW, AS WELL AS THE WORLD FAMOUS PEBBLE BEACH GOLF LINKS, HOST TO THE 2010 U.S. OPEN. THE BIDE A WEE INN COTTAGES IS JUST A 10 MINUTE DRIVE AWAY FROM CARMEL AND ALL MONTEREY TOURIST ATTRACTIONS, AND MANY OF THE FINEST RESTAURANTS AND SHOPS ARE JUST A 5 MINUTE DRIVE AWAY. OFFICE HOURS ARE 7 30AM TO 10 30PM. OUR COZY AND CHARMING ROOMS WERE REBUILT FROM GROUND UPIN 2001. WE OFFER MANY AMENITIES SUCH AS FIREPLACES,KITCHENS, MICROWAVES, FLAT SCREEN TELEVISIONS, VOICEMAILAND IN ROOM COFFEE.A1Q GARDEN VIEW MAX OCCUPANCY 3 MAX NBR OF ROLLAWAYS 1 ROOM DESCRIPTION ONE QUEEN BED IN SEPARATE BEDROOM. LIVING ROOM, FIREPLACE AND KITCHEN OR KITCHENETTE. NON SMOKING. PRIVATE BATHROOM, TEA COFFEE MAKING FACILITIES, HIGH SPEED WIRELESS INTERNET, CABLE TELEVISION, HAIR DRYER, IRON, IRONING BOARD, VOICE MAIL, CLOCK RADIO, REFRIGERATOR, MICROWAVE, ACCESSIBLE WITHOUT STAIRS. ROOMS 101,102,103. ROOM AMENITIES AM/FM ALARM CLOCK / CABLE/SATELLITE TV / COFFEE/TEA MAKER / FIREPLACE / HAIRDRYER / IRON/IRONING BOARD / KITCHEN / MICROWAVE / PRIVATE BATH OR SHOWER / REFRIGERATOR CHARGEABLE AMENITIES HIGH SPEED WIRELESS WIRELESS DATAPORTB2D GARDEN VIEW MAX OCCUPANCY 4 MAX NBR OF ROLLAWAYS 0 ROOM DESCRIPTION TWO DOUBLE BEDS. KITCHEN OR KITCHENETTE. FIREPLACE. NON SMOKING. PRIVATE BATHROOM, HIGH SPEED WIRELESS INTERNET, TEA COFFEE MAKING FACILITIES, CABLE TELEVISION, HAIR DRYER, IRON, IRONING BOARD, VOICE MAIL, CLOCK RADIO, REFRIGERATOR, MICROWAVE.ROOM 105 AND 106. ROOM AMENITIES AM/FM ALARM CLOCK / CABLE/SATELLITE TV / COFFEE/TEA MAKER / FIREPLACE / HAIRDRYER / IRON/IRONING BOARD / KITCHEN / MICROWAVE / PRIVATE BATH OR SHOWER / REFRIGERATOR CHARGEABLE AMENITIES HIGH SPEED WIRELESS WIRELESS DATAPORTB2Q GARDEN VIEW MAX OCCUPANCY 4 MAX NBR OF ROLLAWAYS 1 ROOM DESCRIPTION ONE QUEEN BED EACH IN 2 SEPARATE BEDROOMS. LIVING ROOM AND KITCHENETTE. GARDEN VIEW. NON SMOKING. PRIVATE BATHROOM, TEA COFFEE MAKING FACILITIES, HIGH SPEED WIRELESS INTERNET, CABLE TELEVISION, HAIR DRYER, IRON, IRONING BOARD, VOICE MAIL, CLOCK RADIO, REFRIGERATOR, MICROWAVE.ROOMS 111,116. 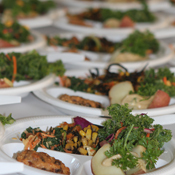 An all-day event featuring nutritional information, chef demonstrations and delicious food. Discover how you can transform your health by embracing a plant-based lifestyle. You’ll hear empowering, life-changing lectures from doctors who are leaders in their field. You’ll enjoy delicious food that will bring about these powerful, new changes. A day of knowledge, inspiration and lasting enthusiasm. Dr. Wes Youngberg, Author of Goodbye Diabetes, Heart Disease and Cancer Risk! Latest in Clinical Nutrition DVD seriesPhysician, author and internationally recognized professional speaker on health issues. A founding member of the American College of Lifestyle Medicine, Dr. Greger is licensed as a general practitioner specializing in clinical nutrition.Currently he serves as the Director of Public Health and Animal Agriculture at the Humane Society of the United States. Dr. Greger is a graduate of the Cornell University School of Agriculture and the Tufts University School of Medicine. Author of Finding UltraA graduate of Stanford University and Cornell Law School, Rich is a 47-year old, world-renowned vegan ultra-endurance athlete, wellness advocate, husband, father of 4 and inspiration to people worldwide as a transformative example of courageous and healthy living.After succumbing to the sedentary throes of overweight middle age, at age 40 Rich overhauled his life, adopting a plant-based whole food diet and reinventing himself as an ultra-distance endurance athlete. And just a few years later, Rich clocked top finishes at the Ultraman World Championships and cemented his place in the pantheon of endurance greats when he was the first of two people to complete EPIC5 – 5 Ironmans on 5 Hawaiian Islands in under a week. Rich is the host of The Rich Roll Podcast, topping charts on iTunes. Plant-based ChefDarshana Thacker is a well-known vegan chef in the yoga community of Los Angeles. Her recipes have been published in L.A. Yoga Magazine, the #1 New York Times Bestseller, Forks Over Knives: The Plant-Based Way to Health, and the New York Times Bestseller, Forks Over Knives–The Cookbook. Darshana, who learned the art of cooking from her mother in India, specializes in international cuisine that is flavorful and healthy.Darshana teaches whole foods plant-based cooking that incorporates the principles of Ayurveda, an ancient Indian science of medicine. Her classes are focused on the skills of combining herbs & spices with food to create the finest of homemade food. Plant-based ChefCathy Fisher is the creator of StraightUpFood.com, a website offering free recipes and information on eating a health-promoting, plant-based diet free of salt, oil and sugar.She is also a cooking instructor, teaching ongoing classes to in-patient clients at TrueNorth Health Center and the McDougall Program, both located in Santa Rosa, CA. Cathy enjoys presenting to groups and giving people the practical skills they need to successfully shift to a healthier lifestyle. More about Cathy* Speakers subject to change and improvement. ** Refund Policy: There are no refunds. However, you may send someone else in your place. Author of Goodbye Diabetes, Heart Disease and Cancer Risk!A practicing clinical nutritionist and lifestyle medicine specialist in Temecula, CA. He was trained at Loma Linda University where he earned a doctorate in clinical preventative care and a master’s degree in nutrition.He is on the clinical faculty of Loma Linda University and serves as assistant clinical professor for both the Department of Preventive Medicine at the School of Medicine and the Department of Health Promotion at the School of Public Health. Dr. Youngberg is a board Certified Nutrition Specialist, and is a founding director and fellow of the American College of Lifestyle Medicine. Author, The Pillars of Health: Your Foundations for Lifelong WellnessJohn Pierre is a nutrition and fitness consultant who has devoted more than a quarter century to helping and improving the lives of others through his expertise in the areas of geriatrics, nutrition, fitness, women’s empowerment, green living, and cognitive retainment and improvement.A dedicated activist, John works with people of all ages promoting the benefits of a plant-based diet, stress reduction, physical fitness, and the importance of living a loving and compassionate life. He is a popular personal trainer who conducts group fitness boot camps and works with individual clients. Author of UnprocessedDevoted to a plant-based diet for over 36 years, Chef AJ is a chef, culinary instructor, professional speaker and author. With her comedy background, she has made appearances on The Tonight Show Starring Johnny Carson, The Tonight Show with Jay Leno, The Late Show with David Letterman and more.Based in L.A., Chef AJ teaches a popular class featuring cooking instruction, nutritional science and song parodies all delivered with comedic panache. Never content to leave her audience with mere “just do it” advice, she teaches how to create meals to transform your health, how to deal with cravings and food addiction and addresses the emotional side of eating. It took balls for us to do this. There are many delicious recipes for cake balls across the world today – many of which have been passed down from generation-to-generation. From mothers and grandmothers to local bakeries, the comfort of a sweet, delicious cake ball can be found almost anywhere. So why, you ask, would we be so crazy to go up against the likes of Aunt Fanny out in Florida and all of the thousands of small-town bakeries across the country? Well that’s where our founder James McDonald comes into play. A young entrepreneur and lifetime “foodie,” James had himself been making cake balls for friends and family for a long time. James’ cake balls became a staple at many dinner parties, holiday get-togethers and birthdays. One night, while sharing a few of his creations at a party, one of James’ friends suggested how amazing it would be if he could harness the moist, fresh flavor of his cake balls and share them with stores across the country. Following months of experimenting with his recipes and exploring various packaging techniques to ensure fresh flavor from the oven to the shelf, Sweet Ballz was born. Now, with nearly 5,000 stores carrying Sweet Ballz throughout the country, you can get the fresh, savory taste of a homemade cake ball anytime you want. We offer more than 50 varieties of customizable wiches, from the signature Wicked®, loaded with five meats (turkey, ham, roast beef, pepperoni, and bacon) and a choice of three cheeses, to unique items such as Thank You Turkey® with stuffing and cranberry sauce. The Which Wich menu also includes plenty of vegetarian options and several healthy wiches for less than 400 calories each. Even the extras are held to high standards: signature house chips, hand-dipped shakes, and just-out-of-the-oven cookies are as superior as the sandwiches. Grab a bag, our signature red Sharpie®, and create your own masterpiece! Choose from more than 50 superior sandwiches, custom-crafted with the freshest meats, cheeses, and more than 60 toppings! It’s your wich – any way you want it! This is your WHICH WICH® fan page, and we encourage you to leave comments, photos, videos, and links here. However, we retain the right to review all comments and remove comments or posts at our discretion, including if we find the comment or post to be inappropriate or offensive. We encourage your comments and other sharing on the subjects covered on this page, especially the ones we like a LOT. We hope you understand that comments posted to this page do not necessarily represent the opinions of Which Wich, Inc. or Sinelli Concepts, Inc.
By submitting any of your own original content related to the WHICH WICH® brand (for example, decorated brown bags, T-shirt ideas, photos, rap song lyrics, recipes, menu recommendations, and more), you agree to grant us the exclusive, irrevocable, royalty-free, perpetual, worldwide rights, title, and interest in and to the original content and agree that we can do pretty much whatever we want with it, including sell, distribute, and transfer rights to it, or even post it on our website or use it in promotional materials. You agree that by posting this original content on our Facebook page you disclaim any rights, including any copyright or any other intellectual property right, in and to the original content following the assignment described in this paragraph. We’re big fans of ginger here at Trader Joe’s. From Gingerbread (Mix) to our oh-so-popular Triple Ginger Snaps, ginger is a flavor that always leaves us wanting more. And more is what you’ll get from Trader Joe’s Triple Ginger Brew. We’ve always done well with ginger brews — meaning, we’ve sold vast amounts because, apparently, you really like ginger brew. One comment we heard over and over from ginger aficionados was this: more ginger. So we set out to find just that. Problem was, we couldn’t find it. So we had to create it. We worked hand-in-hand with our supplier and put this Brew through a number of taste tests. Finally, we got it right. The difference is a substantial amount of fresh ginger that’s added during the brewing process, giving this lightly-carbonated, non-alcoholic drink a big bite — perfect for ginger devotees. Because Triple Ginger Brew is not your average soda, we knew we couldn’t put it in an average package. Instead, you’ll find Trader Joe’s Triple Ginger Brew in an old-fashioned, emerald green, 750ml glass bottle with a swing-top closure. It’s a bottle that lives up to the Brew inside. And our price of $2.99 a bottle lives up to our value of, well, value! The farmers’ market will be open from 2 p.m. to 7 p.m. on Fridays on the northwest corner of Huntington Drive and San Marino Avenue. The initial trial period lasts from February through March. CityFarm is the manager/operator of the San Marino Farmers Market. Meanwhile we see that City Farm announced the closure of the Autry Farmers Market. On December 28th we will be closing The Autry Farmers Market. 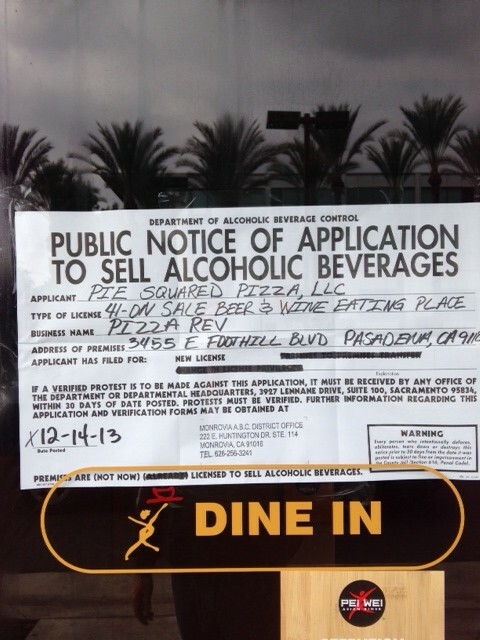 Thank you all for your support in our Griffith Park location and please be sure to check out what’s new for 2014. 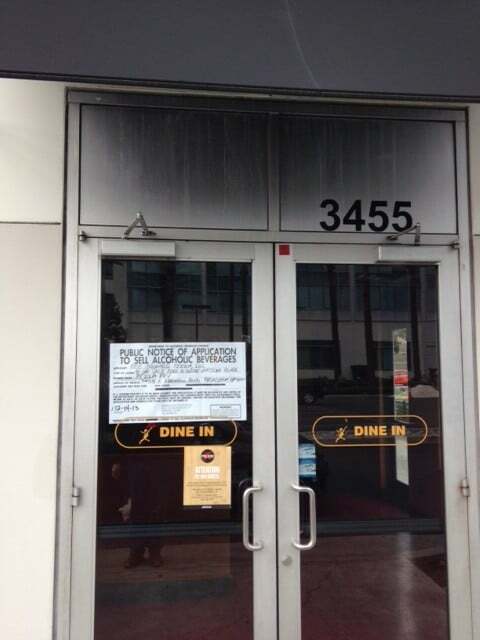 We don’t know if this means it will be relocated or this location on Saturday did not work out, because of other markets in the area, including Burbank and Pasadena on Saturdays. The next big thing in wine starts…small. Tasting Room by Lot18 makes wine a matter of personal taste with a wine club that is completely personalized based on customers’ unique tastes. Customers begin with a small tasting kit that features 6 mini-bottles, each equal to about a half-glass of wine. The Tasting Room experience starts with over a 70% DISCOUNT for people to try it! Tasting Room by Lot18 then walks customers through the tasting process, and creates a Wine Profile that captures their tasting patterns using its unique technology. TastingRoom.com then custom builds a full case (12 bottles) that features only wines its algorithm has determined are unique to a customer’s wine type—offered at 50% off regular prices. And the first full shipment is sent with a 50% DISCOUNT off regular prices! Customers then receive shipments every three months of 12 bottles of wine curated to their personal tastes. And, with every shipment, customers can continue to rate the bottles to enhance their Wine Profile and cater wines to their personal tastes. Get Started with The Tasting Room by Lot18 – The next BIG thing in wine! Northern or Southern CA: Where should you build your startup? Where should you build your startup? Do You REALLY Need to be in the Bay Area? Map of Southern California Startups by Benjamin F. Kuo. Used with Permission. Southern California’s startup community has come a long way, but has it fully emerged from the Bay Area’s shadow? Although companies, such as Cornerstone OnDemand, Snapchat and Maker Studios, grab headlines, the engine of this community is comprised of hundreds of entrepreneurs quietly building products and services that soon will disrupt established industries. A vibrant community of mentors, investors, accelerators and events has emerged to support these entrepreneurs and their companies. Yet, the allure of the Bay Area still beckons companies to move north. In this very unique program, we will bring together local and SF-based entrepreneurs to discuss the resources in their startup communities that made a difference in building their companies. Attendees will have the opportunity to engage in a dialogue with the speakers and ask questions about how to build a successful company in Southern California. Do you need to relocate to the Bay Area to raise money? Can you access the Bay Area’s benefits while remaining in Southern California? What resources are unique to Southern California that startups can access today? What has worked and what hasn’t for SF’s startup community and how can we apply those lessons here? Skin nutrition by real people, for real people.